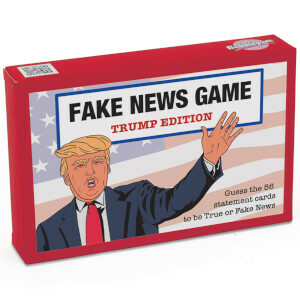 Test your knowledge of Twitter with the Fake News Kanye Edition Card Game. The set of 56 cards features statements that the musician may, or may not have said. Decide which statements are true and which are genuinely fake. Creative genius or egotistical obsessive, you decide! Suitable for two or more players, the hilarious game is perfect for anyone who simply cannot resist the lure of the tweeting Yeezus, despite their better judgement.